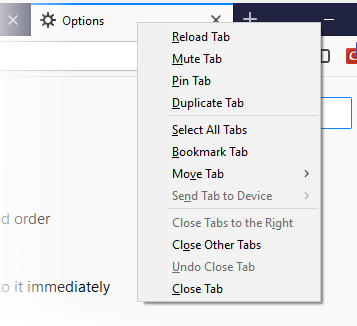 CTRL+Tab cycles through tabs in recently used order	– Lets you use Ctrl+Tab to view open tabs one at a time. 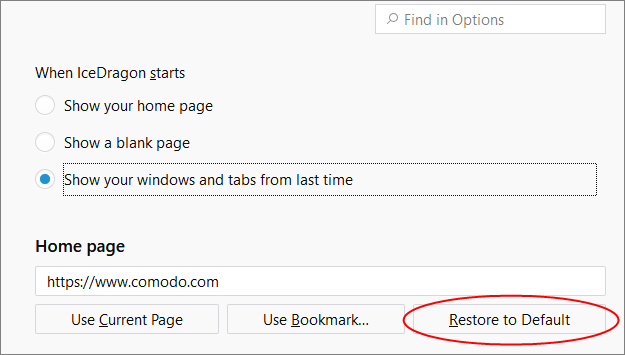 Open links in tabs instead of new windows –	Enabled – any links you click will open in a new tab in the same IceDragon window. 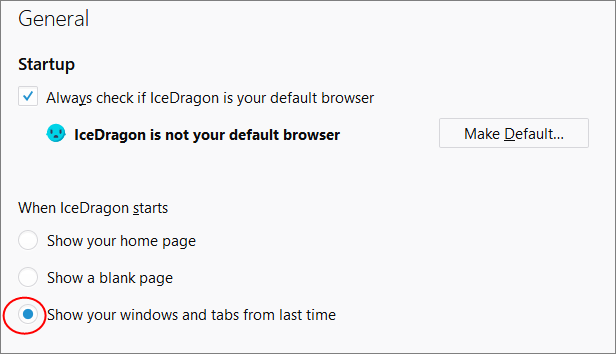 Disabled – any links you click will open in a separate IceDragon window. When you open a link in a new tab, switch to it immediately - Check this option to load and display the page in a new foreground tab. Show tab previews in the Windows taskbar - Check this option to show a separate preview for each tab.